LIFETIME POWER TRAIN WARRANTY!! READ CLOSELY: THIS IMMACULATE 2014 FORD F150 COMES WITH A LIFETIME ENGINE, TRANSMISSION, AND FULL POWER TRAIN WARRANTY AT ZERO COST TO YOU!! Take a close look at this clean 2014 Ford F150 that was just traded in here at Boyles Auto Sales. Clean Car Fax F150 that comes equipped with Power Windows/Locks/Mirrors, Tilt Steering, Cruise Control, Keyless Remote Entry, AM/FM/CD/AUX Radio, Factory Towing Package, and so much more. Powered by the 3.7L V6 Engine, so you can expect power and best in class mpg. This truck drives and handles perfect on the road and its a blast to drive in town too. We offer bank and credit union financing here at the dealership with LOW LOW RATES, so you can drive this F150 home today. 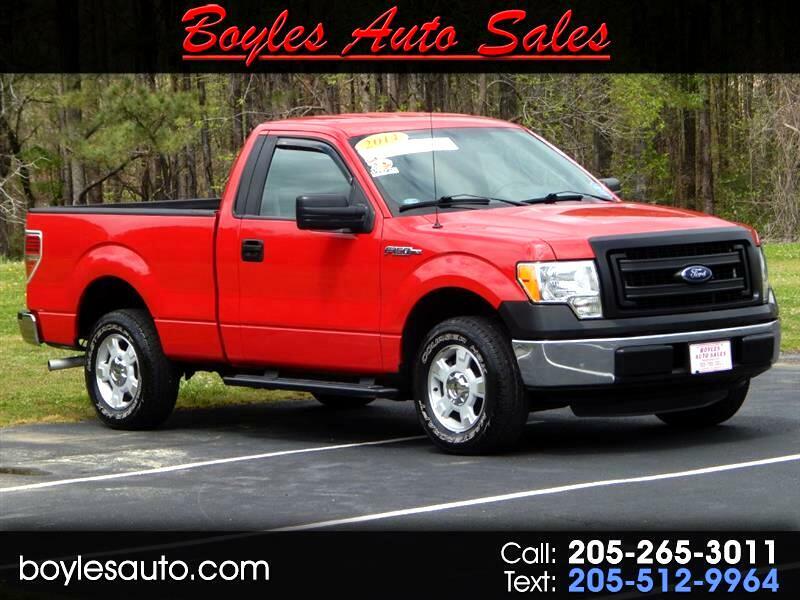 Also, for that added peace of mind that comes standard here at Boyles Auto remember this: THIS EXTRA CLEAN 2014 FORD F150 COMES WITH A LIFETIME ENGINE AND TRANSMISSION WARRANTY AT ZERO COST TO YOU!! NOT A 30, 60, OR 90 DAY WARRANTY...... A LIFETIME!! Call Scott or Tucker at 205 265 3011, or Randy at 205 269 3196. Visit us online at boylesauto.com to see more trucks like this one, or to fill out your credit application for faster approvals. Thank You for looking.